New research finds that cancerous tumors feed on sugar to become more aggressive, as reported by the Science Daily. “Our research reveals how the hyperactive sugar consumption of cancerous cells leads to a vicious cycle of continued stimulation of cancer development and growth,” said Johan Thevelain, lead author of the study and a professor at Katholieke Univsiteit Leuven (KU Leuven) in Belgium. “The main advantage of using yeast was that our research was not affected by the additional regulatory mechanisms of mammalian cells, which conceal crucial underlying processes,” Thevelain said. The researchers found that excess sugar triggered the yeast to produce excessively active Ras proteins. 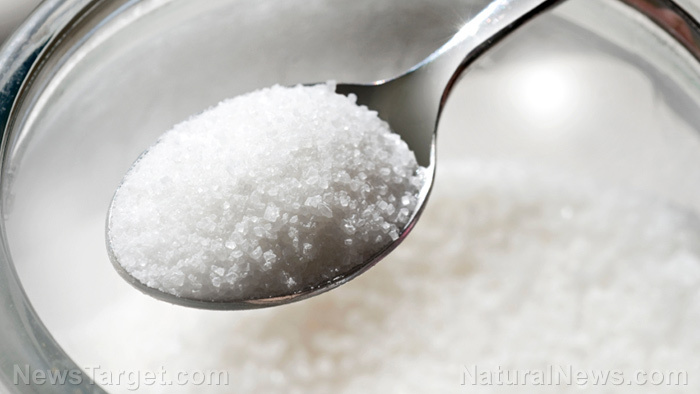 Sugar stimulates the cancer cells and makes them multiply and expand quickly. Almost all the healthy cells in the body need energy to function, and they get the energy from the sugars in the food we consume. On the other hand, cancerous cells also need sugar to work. However, cancer cells break down so much more sugar than the normal cells in the body. They turn glucose into an excess of lactic acid, which has been linked to stimulate the growth of tumors. This is one of the most well known characteristics of cancer cells, which has been comprehensively studied and used to identify brain tumors. Apparently, there is not enough evidence as to whether the Warburg effect causes cancer or is just a symptom of cancer. “Further research is needed to find out whether this primary cause is also conserved in yeast cells,” Thevelein said. Read more news similar to this at Sweeteners.news.